In 1976, Graeme Murphy choreographed this orchestral work in the award-winning “Glimpses” which was performed with great success by both the Australian Ballet and the Sydney Dance Company. While her works range from opera, ballet and incidental music for the theatre, to vocal, orchestral, chamber and instrumental music, and much music written for young performers (chiefly small choral and piano works), it has been said that her preference was for music of small to moderate dimensions. Indeed the majority of her compositions are chamber works, reflecting her long interest and participation in these forms. Pre World War 2, her output was mostly songs, short choral works, chamber music and works for piano, which often show influences of a pastoral, English style post Elgar, but also the more harmonically adventurous styles of Bax, Ireland and Scriabin. A more austere, neo-classical approach also starts to be seen and this becomes stronger in her postwar period, influenced by composers such as Hindemith, Bartok, Shostakovich and Prokofiev, eg the “Divertimento” for string trio (1958) we will are presenting in “Celtic Connections”. According to her biographer, David Symons, "she contended that female composers had a different sensibility and aesthetic priorities from male composers, but that their contribution was no less important." and Sutherland "never aspired to a deliberately nationalist style as did some contemporaries, such as John Antill and Clive Douglas. Yet she, like Judith Wright, maintained an essentially internalised perspective of 'Australian-ness' which, she asserted, should be an unconscious influence or permeation." 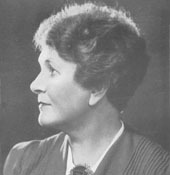 "She considered it her mission to promote new music, especially that of Australian composers ‘who’, she said, ‘experienced public indifference and a profound sense of isolation.’ "
Margaret organised chamber music concerts for the Red Cross during the war and then became a member of advisory boards and committees for the Australian Musical Association, Council for the Encouragment of Music and the Arts (later the Australia Council), UNESCO and the National Gallery Society of Victoria. Her instigation was instrumental (!) in the acquisition of land and the establishment of the Victorian Arts Centre. 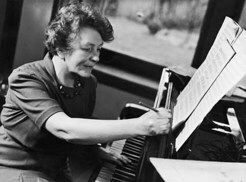 She founded the Camerata Society, which presented contemporary chamber music concerts, especially new Australian work as well as music publisher Kurrajong Press. No Rachel hasn't left us, but she has acquired a new instrument! And it is a very special one too. You may have heard of Treecycle, an innovative recycling project introduced by the Royal Botanic Gardens Sydney as part of their 200th birthday celebrations. Treecycle utilises wood from trees that have graced the Gardens for many years but then have either died naturally or have needed to be pruned or felled. 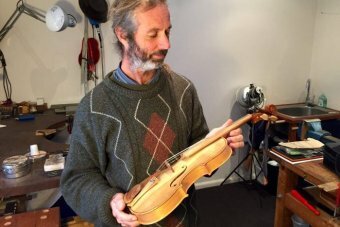 50 trees from more than 20 species from the Sydney, Mt Tomah and Mt Annan Gardens were saved this year from the mulcher and re-purposed by 45 artists and woodworkers into sculpture, furniture, chandeliers, model boats and musical instruments. 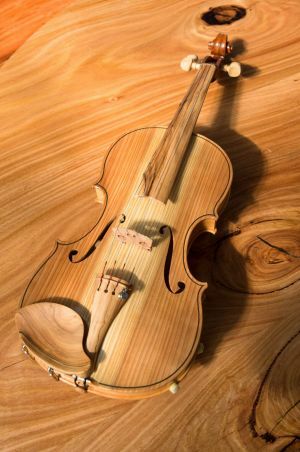 Rachel’s violin is made from Japanese Cedar, Monterey Cypress, African Plum, and African Olive. None of these is a native Australian tree, and some are considered pests, but they have combined here in a very Australian instrument which is also delicious smelling. The African Olive is the most eye-catching with its sensuous swirls; it was used for the chinrest, tailpiece and fingerboard, which are usually conventionally very dark. This violin looks like a milk chocolate delight, and sounds like a dark chocolate fudge. A composer based in Edinburgh, Julian was kind enough to provide answers to my questions via email, which is quite appropriate as I discovered his trio by googling! Other major works include a Stage musical 'John Paul Jones' about the Scots-born hero of the American Revolution, an opera 'The Turing Test', set in the world of artificial intelligence and a chamber opera 'Breathe Freely' set during the Second World War. 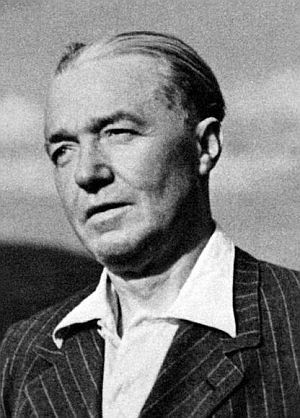 Lonely Waters for orchestra was composed in 1931, the same year as his string trio, but shows much more the influence of Delius. The most important works include String quartets, the 1st symphony, a Cello concerto and a Violin concerto (but alas again no Viola Concerto!). He also wrote much piano music and many songs including folk song settings. Influences: He studied with Charles Villiers Stanford and John Ireland but the folk songs of Norfolk, where he grew up and Kerry, in Ireland, where he settled from 1930 on, played a large role. The composer Peter Warlock, (Philip Heseltine) was a friend and drinking companion. “Genuine harmony arises out of counterpoint...Moreover there can be no rhythm without melody, otherwise it descends to mere metre, which is not music. On the other hand melody, divorced from harmony and rhythm, descends into a meandering succession of fragmentary ideas, bearing little relation one to another, and totally lacking organic unity”. 1. What do you think is the minimum income a composer needs in order to live in such a way that he can do justice to his art? Mr. Moeran remarked that it was purely an individual matter that a composer may need luxury, as Wagner did, or "do just as well in a dingy bed-sitting room or...in a caravan or houseboat", and that accordingly the question was unanswerable". 2. Do you think is is possible to earn this sum by composing? 3. If not, what is the most suitable way for a composer to supplement his income? "...Some job as a keeper of a level-crossing on a branch line, with only four or five trains daily and a good cottage thrown in," replied Mr. Moeran; but if the composer preferred "the bustle of town life", then musical criticism. 4. 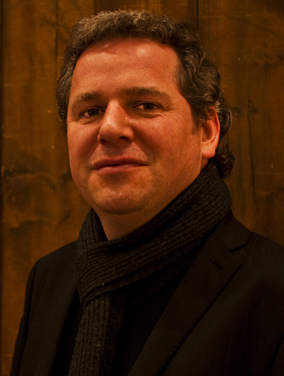 Do you think the State of any other institution should do more for composers (e.g. subsidize individuals, promote performances, commission works, etc.) and if so, how? 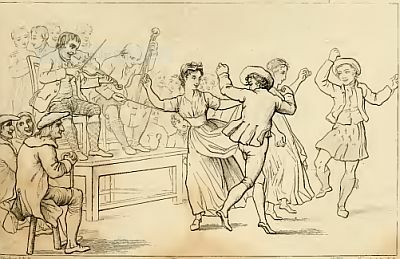 Mr. Moeran suggested reducing entertainment tax at concerts in which "either a certain amount of time is devoted to British music or...a major British work performed", and furthermore making the entry and right to earn fees of a foreign artist conditional upon his performing a proportion of British music. He also felt that a Ministry of Fine Arts, provided it could be kept free of party politics, might do good. Moeran collected about 150 folk songs in Norfolk and Suffolk alone. This involved much sitting in country pubs and waiting until an old timer started to sing, then writing it down and asking for more. He was well known in his his later home in Kenmare, Co.Kerry, where until recent years a bar was named after him. He was notorious for drunken revelry and anarchy during the time he shared a house with Warlock and the artist Hal Collins, conveniently - or disastrously - across the road from a pub. He had an encyclopaedic knowledge of trains and train timetables. Some works, eg the Fantasy Quartet for oboe and strings, imitate train sounds and rhythms. When we think of compositions inspired by the British isles we usually focus on the Romantics - Mendelssohn's Fingal Cave Overture and Scottish Symphony, Bruch's Scottish Fantasy for violin - but much less known are the hundreds of Folk song arrangements by Haydn and Beethoven. 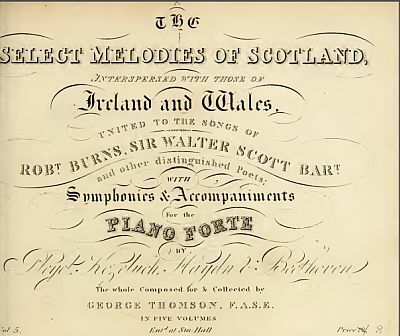 From 1793-1820 collector and publisher George Thomson, a sort of Scottish equivalent of John Playford, was responsible for the bulk of these, compiling the six volumes of A Select Collection of Scottish Airs for the voice, and a later compendium, The Select Melodies of Scotland, Interspersed with those of Ireland and Wales. He was a notable out-sourcer; no less than Robert Burns provided most of the lyrics and edited the rest, for as Thomson wrote “Some charming melodies are united to mere nonsense and doggerel, while others are accommodated with rhymes so loose and indelicate as cannot be sung in decent company”. He also commissioned the best composers of the day – Pleyel, Kozeluch, Haydn, Beethoven, Hummel and Weber to provide musical arrangements. Haydn, of course had strong connections to Britain after his London tours and between 1791-1804 he produced over 400 song settings for various publishers including Thomson. Mostly the arrangements are for voice and piano trio, a combination that was followed by Beethoven. At first Haydn seems to have been helping out a bankrupt publisher named Napier who had 12 children and was threatened with debtors' prison, but it seems to have turned into a nice little earner for many years. When Beethoven was later approached by Thomson he negotiated hard for a good deal too, mentioning that he knew “ Mr. Haydn was given a British pound for each air”. It was not always a smooth partnership – Beethoven would often rail that he was not sent the text for many melodies, and in turn Thomson complained about the complexity of his accompaniments. Certainly the later volumes of the collection did not sell nearly as well as the earlier ones with Haydn's work. From this vast compendium, we will be presenting a wee selection of songs by Haydn and Beethoven (sorry Mr Kozeluch, another time!) here newly arranged, for string trio of course. The piece is named for Johann Gottlieb Goldberg, possibly the first performer, who was a virtuoso harpsichordist and student of both JS and WF Bach. The legend is that when the young prodigy was residing with his patron Count Keyserlingk, Bach composed the variations specifically for him to play to the insomniac nobleman. The Count is said to have paid Bach with a golden goblet filled with 100 Louis d'Or. One of the few pieces by Bach published in his own lifetime. First published in 1741, 275 years ago. Bach is quoted as saying “The aim and final end of all music should be none other than the glory of God and the refreshment of the soul”. The first edition title page announces that the Goldberg Variations were ”composed for connoisseurs for the refreshment of their spirits”. Although originally composed for 2 manual harpsichord (double keyboard) the work has been arranged for many different instruments/combinations eg. String orchestra; 2 guitars; piano duet; harp; Moog synthesizer. There are at least three versions for string trio; we have chosen the latest. Bach did not write any other sets of variations; in this one he was probably influenced by Handel's from 1733 of 64 variations on a similar bassline. Handel's theme was only 8 bars long, so with his much more contrapuntal working Bach was indulging in one-upmanship. There is much use of symmetry, with 32 movements overall as well as 32 bass notes in each variation. Each movement is in 2 equal sections of 16 bars. The first variation of each triplet is usually a dance or “genre” piece, followed by a virtuosic variation and then a Canon. The first canon starts like a typical “round” with the following part in unison with the leader, but then in each succeeding canon the parts become further and further apart until in the final one they are at the interval of a ninth. Bach was the master of counterpoint and not only are the canons created to be varied intervals apart, some are also in contrary motion, so they are mirror images. The final variation, no 30, breaks this cycle . It is a quodlibet or “What you Will”. This was the custom at get-togethers of the Bach family - all musicians and composers – and consisted of an impromptu mashup of comic and often bawdy popular songs. The songs featured in the quodlibet are: “Cabbages and Turnips have driven me away, had my mother cooked meat I would have opted to stay” (those particular vegetables are a proverbial Geman phrase for a confused mess) and “I have been so long away from you, come closer, come closer” Humorous references to the many preceding variations and the imminent re-appearance of the Aria? Many of the variations are Baroque Dances in style if not name– sarabande, polonaise, gigue, passepied. There are also many virtuoso toccata like movements that feature crossing of the parts (and hands on the harpsichord), evoking the style of Domenico Scarlatti particularly. Marking the halfway point, the 16th variation is a French Overture, usually a grand opening movement with dotted rhythms. There are only 3 variations in the minor key, numbers 15, 21 and 25. All others stay in G major. It was one of Bach's most popular pieces in his lifetime, over 100 copies were printed, of which 19 have survived. One of these is Bach's personal copy, which has some extra performance directions and corrections and also includes 14 extra canons using just the 1st 8 bars of the bassline. The Goldberg Variations were championed in the 1930s by the pioneer 20th century harpsichordist Wanda Landowska, who made the first recording. In the 1950s pianist Glenn Gould made them his debut recording, which achieved bestseller status. Some final advice from Bach:”It's easy to play any musical instrument, all you have to do is touch the right key at the right time and the instrument will play itself”!